Receiving an Angelic Reiki healing is a wonderful experience and is very different to Traditional Reiki. During a healing session the high vibrational energies of the Healing Angels are called upon to channel healing energy through the healer and healee. Angelic Reiki has to be experienced! It is amazing. Many levels of your being may be healed in a very short space of time – huge shifts and transformation in your life can and may take place. Angelic Reiki was originally channelled to assist us in our ascension process and it is truly a gift for our times. Angelic Reiki can help us to understand ourselves and our path more clearly too. 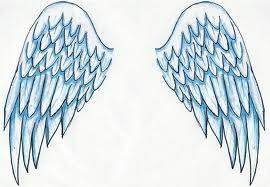 Following an Angelic Reiki session it is usual to feel an immense sense of calm, peace, and bliss. I love giving this treatment.